A 2012 study by the American Institute of CPAs found that more than 60% of American parents doled out allowance money to their kids. 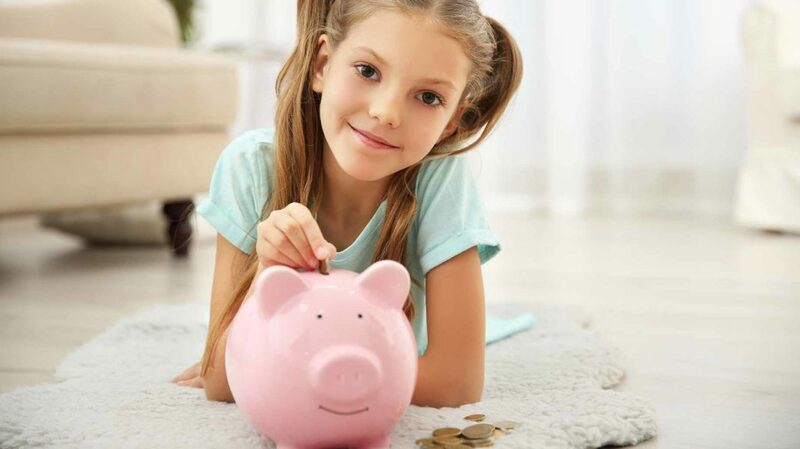 The bad news: The same study found that just 1% of kids save any of their allowance money. That doesn’t bode well for the next generation’s financial fitness. As a parent, you can’t singlehandedly boost the next generation’s collective financial IQ. But you can take some commonsense steps to raise your own brood’s game. I asked more than a dozen personal finance experts for advice on what parents should do, and when, to prepare their kids to spend and save money wisely as they grow – and to ensure that they continue to practice good fiscal hygiene when they finally leave the nest. Take this logic one step further and resolve to speak openly about money with and around your kids. In other words, feel free to discuss sensitive financial matters, such as salary negotiations and the status of your retirement accounts, in the presence of your kids. No need to shoo them out of the room so that “the grown-ups” can have a frank discussion. Young kids might not understand everything you discuss, but that’s okay. They don’t understand all the words in the stories you read with them either. That doesn’t stop you because you trust that they’ll pick more up with repetition and age. Practice what you preach, if you prefer. You’re your kids’ most visible and important role model. (This may change during their rebellious adolescent years, but they’re all yours during elementary school.) By visibly following through on the fiscal wisdom you dole out to your kids, you show them that it’s possible to live within your means. Mundane activities, such as Dransfield’s grocery shopping trips, are ripe for reinforcement. It takes just a few seconds to explain to your kid why you chose the cheaper generic option over the functionally equivalent name-brand option – why pay a premium for a fancy label? It’s not as cruel as it sounds. 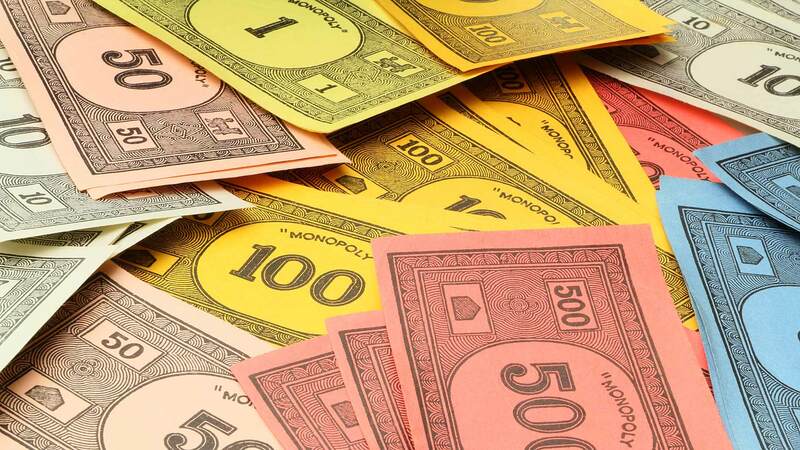 Fake money is a great way to teach young kids about the value of money without actually entrusting them with any hard-earned cash. Think of it as training wheels for budding consumers. 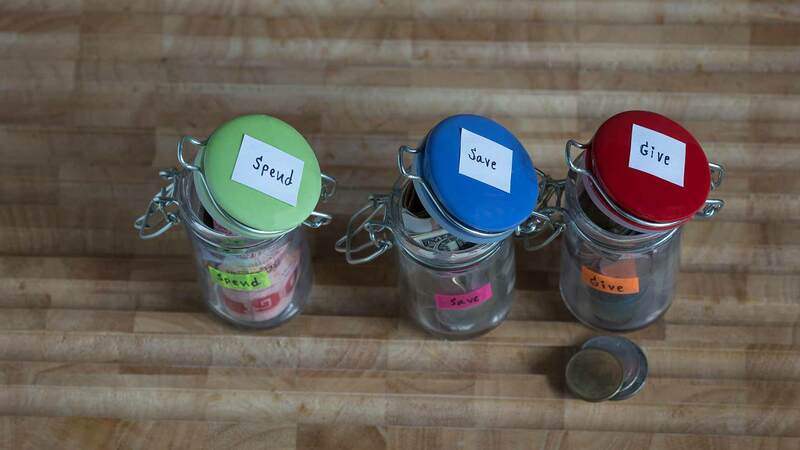 Banks and his wife developed a “printable chore chart and colorful faux money,” available for free at their website, for parents who want to start kids on paid chores before they’re old enough to make reasoned spending decisions. Parents can define dollar values for each chore, show their kids what they can buy with their earnings, and even play out faux transactions. Don’t give your kids an open line of credit, even if you can afford to spoil them every once in a while. You’ve surely gotten used to telling your kids “no” on other matters. Putting your foot down on requests for cash or parent-aided purchases is no different. It’s important to lay out this marker early in your kids’ financial education – the longer you wait, the harder old habits will die. Steven J. Weil, president at RMS Accounting, encourages parents to set up accounts for their kids at “the Bank of Mom & Dad.” He advises parents not to buy things for kids outright. Instead, give them a “custodial allowance.” Set up their so-called “account” and tell them exactly how much they’ll be allowed to spend out of it each week. Be transparent about the balance so that there’s never any confusion about what they can or can’t afford. It’s not rocket science. And it might just encourage your little ones to re-evaluate their spending priorities. “Don’t be surprised when they tell you, ‘It’s not worth it if I have to use my money,'” adds Weil. If you dole out an allowance to young children without requiring work, make sure it’s equitable on an age-weighted basis (you can give “raises” every year or quarter). If you pay wages for chores, assign equal amounts of work and an equal pay rate. The younger your kids are, the easier it is to treat them equitably. Or so you’d think. The Guardian reports on disturbing figures that show just how early the gender “pay” gap arises: In the U.K., girls get about £0.80 less per week in pocket money (allowance) than boys. Eventually, extenuating circumstances might render equitable financial treatment impractical – for instance, you’ll probably need to provide more support to the kid who gets into Princeton than the kid who enrolls in a technical certificate program at the local community college. But that’s likely years off – we’re talking about kids in elementary school here. There’s no reason not to start your little ones out on a level playing field. Use a combination of praise and tough love to instill fiscal discipline in your brood. Candi Wingate, owner of Nebraska-based Nannies4Hire, advocates a good-cop/bad-cop approach to early financial education. “Praise your kids for every penny saved,” she advises. That is, every time your kid makes a deposit in his or her piggy bank or custodial bank account, give verbal praise. If you’re feeling exceptionally generous, throw in a low-cost treat, like an extra half hour of screen time that evening. See? Painful as it is, tough love is actually in your kids’ best financial interest. You use apps for everything else these days. Why not at-home financial education? There are too many legitimate financial apps for kids to name. These apps were specifically called out by my sources, but I’d encourage you to look for additional resources from legitimate sources like the Consumer Financial Protection Bureau. Raise. Raise is a popular platform for buying and selling gift cards online. “Once you purchase a card, sold at a discount by a seller who no longer needs it, you can instantly redeem it online or in stores by showing the barcode on your phone,” says George Bousis, founder and CEO of Raise. “There’s no need to worry about forgetting your cards at home in a drawer.” While Raise is not designed specifically for financial education, it’s useful for illustrating supply and demand in a way that even young kids can understand (and profit from). Sought-after gift cards typically sell at a smaller discount to face value – a great reminder that, when everyone else wants what you want, you may have to pay a premium for it. I mentioned above that pay equity appears to start as soon as kids start earning money for household chores – well before they enter the formal labor market. Assuming you’re okay with paying your kids equitably for equal work, you need to give them jobs to do. A properly instituted household chore schedule is the definition of a win-win. For parents, it’s a dumping ground for mundane, low-value tasks for which they lack the time or patience. For kids, it’s a buffet of practical learning opportunities – a long, low-stakes introduction to the sorts of rote tasks they’ll soon enough need to complete on their own. What you don’t want your chore schedule to become is a “make work” project. Even in elementary school, your kids’ chores should be tasks that actually need to be done: washing dishes, dusting around the house, taking out the trash and recycling, cleaning and vacuuming floors, detailing furniture, and so on. The Lumbys have settled on some basic chores that they feel merit modest pay: taking out the trash, sweeping floors, pulling weeds, and putting away clothes. They don’t pay extravagantly. Just enough to incentivize their son to “remember” his weekly duties. 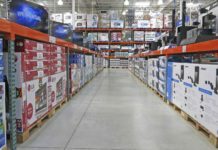 “We try to pay him enough that it provides some incentive for him to purchase things he likes, but not so much that it is completely unrealistic for what the market would pay him,” says Lumby. He figures the rate works out to no more than $3 an hour. Perhaps you’ve heard of the 4-1-1 rule, a social media etiquette mainstay. The 4-1-1 rule’s interpretation varies depending on who you ask, but the version I’ve heard directs social media users to share four pieces of original third-party content and one piece of third-party social media content (e.g., a retweet or Facebook share) for every one piece of their own content. In other words, limit self-promotion to 20% of your social media activity. Lumby was surprised that his young son intuitively grasped the importance of charitable giving – you’d think that would be the hardest concept for little ones to understand. The 1-1-1 rule is apparently pretty popular. Byron Ellis of United Capital Financial Life Management advises his clients to follow it too. Encouraging kids to spend, save, and give in equal measure “is a great way to develop financial discipline and help them understand that all of their money should not be spent right away,” he says. Ellis recommends buying or building a see-through, multi-compartment piggy bank “so your kids can watch their money grow before their eyes.” Failing that, set up three separate online bank accounts and remind them to log in periodically to check their balances. If you’re not ready to open a custodial or joint bank account for your child, find a way to pay them market-rate interest on the money they save. This is a great way to convey to your kids that a penny saved truly is a penny earned – or, perhaps, two pennies earned – and that frugality pays off in the long run. It’s also a great way to introduce very young kids to more complicated investing concepts. Lumby knows that his son probably doesn’t quite get the concept of compound interest yet. (Some days, I’m still not sure I understand it.) “At 5 years old, I doubt he is understanding what I’m trying to teach him, but at least I’m planting seeds that he can remember as we continue down this financial education path,” Lumby says. Once you trust your kids enough to make their own spending and saving decisions without the aid of a piggy bank or closely supervised app like Greenlight, open a custodial bank account in their name. Ellis recommends doing this as soon as your kids hit their teens. Time and again, he sees clients’ kids struggling with basic financial management concepts well into high school and college because their parents never bothered to set up a checking account in their names. “Teaching kids to manage a checking account early [helps] avoid these pitfalls in the future,” says Ellis. Even though checkbooks are all but obsolete today, he recommends teaching kids to balance checkbooks anyway – it’s still the best way to illustrate cash flow and convey the real-world consequences of spending decisions. This is an admittedly subjective directive, but the point is to get your kids jazzed about something – anything – that involves sound financial decision-making. Ben J. Westerman, senior vice president at St. Louis-based HM Capital Management, encourages clients to take their kids on a philanthropic deep dive once they hit adolescence. While the 1-1-1 rule works fine for young kids, it doesn’t really capture the nuances of giving and the importance of vetting the recipients of your largesse. “We recommend clients set-aside a portion of their charitable giving and allow their children to select the charitable organization,” says Westerman. “Parents may provide each child with a set dollar amount – less when children are younger and more as they get older – and then ask them to research a charitable organization and create a presentation on their findings.” In other words, an extracurricular project with real-world consequences. Pro Tip: You don’t have to use your own money to fund this project. Simply work the report and presentation components into your ongoing 1-1-1 arrangement as your kids age. Many parents discourage kids from using credit cards altogether. That’s a perfectly valid approach to financial education – one that keeps them away from one of the most common drivers of consumer debt altogether. Even if you’re fine with your kids using credit cards when they’re old enough, be sure to have the “debt talk” with them before cosigning a credit card application. This talk isn’t just appropriate for budding credit card users – use it to warn kids off from uglier forms of debt too, such as payday loans. Nigro cites a litany of consequences of bad credit: higher interest rates, higher car insurance rates, trouble renting an apartment or securing a cell phone contract, difficulty securing a job or obtaining a security clearance. And how does credit education teach kids responsible saving habits? Simple: Every dollar they don’t have to pay toward a carried credit balance is a dollar they can sock away – a dollar that’ll earn interest in an FDIC-insured savings account or grow in an investment account. Millions of kids work part-time in high school. Before they take their first tentative steps into the labor market, they need to understand the difference between gross pay and net pay. If you use a human accountant to prepare your household’s taxes, take your child to this year’s appointment. This is a simple way for kids to “learn that even adults have to make choices when it comes to money,” says Stephen J. Weil. If your family uses a certified financial adviser or financial planner, loop your kids in on those meetings too. Get them familiar with any online financial tools you use as well, including your brokerage or robo-advising suite. This goes back to the point I made earlier about transparency and frankness – you want your kids to have the whole picture. Pro Tip: Check out our regularly updated list of the best free online tax preparation software options. Don’t miss our head-to-head-to-head comparison of TurboTax, H&R Block, and TaxAct either. Why stop there? As your kids get older, involve them in grown-up financial choices – without using their input as the last word for any consequential decisions, of course. Deborah Sweeney, CEO of MyCorporation, thinks the long, multi-step process of buying a house is a fantastic opportunity to walk kids through a complex financial transaction that requires months of planning and preparation. Along the way, you’ll have countless opportunities to illustrate specific financial concepts, like down payments and amortization. Buying a house is just one example. 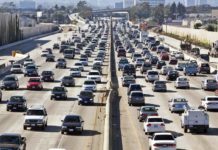 Buying a car is another great opportunity – a more common one to boot. The cost of higher education is rising faster than the rate of inflation. According to U.S. News & World Report, the rate of increase in private university tuition outpaced the prevailing inflation rate by more than three times between 1996 and 2015. The rate of increase in in-state tuition at public universities outpaced inflation by more than six times during the same period. The case for higher education scholarships has never been clearer. 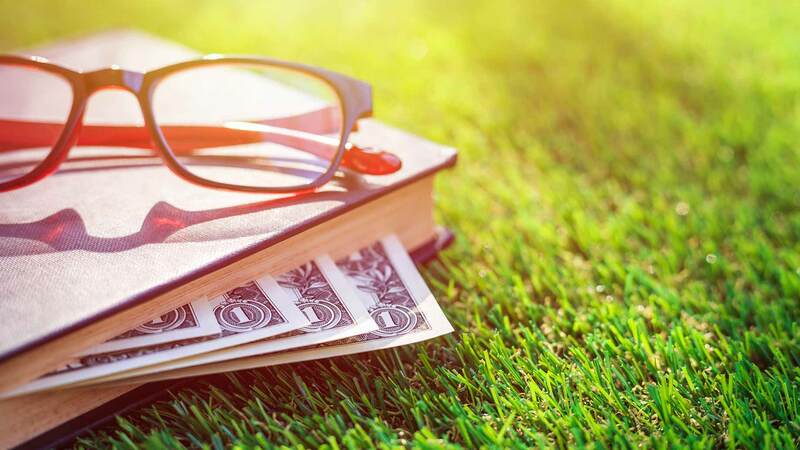 For parents and students, every scholarship is a win-win proposition, simultaneously defraying tuition costs and providing crucial budgetary breathing room. Plus, students are young, and their earning power in the workplace is modest. It’s likely more cost-effective for the average student to apply for a scholarship or two rather than slave away at a minimum wage job (and take crucial time away from studying) to earn a comparable amount. Let’s be clear: $25 per hour is not a realistic wage expectation for most high schoolers. Traditional service industry jobs rarely pay more than $15 per hour, even with tips. And, as Biancavilla points out, 400 hours of work at $25 per hour doesn’t actually net $10,000 after figuring in federal and state withholding taxes – a fact she’s quick to point out to her students. I’ve seen the power of scholarships firsthand. I qualified for two academic scholarships in high school, collectively offsetting about $2,500 per year in tuition. This was basically a drop in the bucket for my private college, but every little bit helped. Pro Tip: I’d go one step further than Biancavilla and say that you should encourage your high schooler or college student to put at least half of their cash scholarships into a savings account or CD. They can always withdraw the funds later to make tuition payments, buy books, or simply cover living expenses, but the simple act of squirreling away a one-time windfall is a powerful exercise in self-restraint. By the time your kids are in high school, they’re old enough to learn the basics of investing. Broach the idea of investing their own money with them, making sure to explain the potential risks – that they could lose principal, for example. If they’re interested, set up a custodial brokerage account and have them set aside a modest amount of their own money to invest. If you’d prefer to explore investing strategies other than traditional stock-picking, nudge your kids toward index ETFs and mutual funds with low expense ratios and favorable ratings. It’s easier to build a diversified portfolio – and convey the all-important concept of diversification – with low-cost index funds anyway. 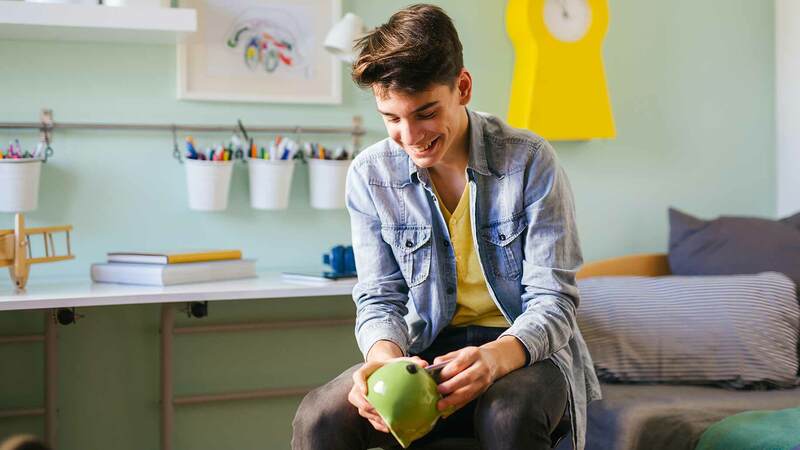 Though it’s likely to be among your kids’ least favorite financial exercises, applying for student loans and budgeting for post-graduation repayments is a piece of the financial education puzzle. Kids who aren’t prepared to set aside significant chunks of their take-home pay for student debt simply aren’t set up for frugal-living success. If your kids don’t get it themselves, it’s up to you to remind them that they need to subtract this monthly payment figure from their net pay before building out the rest of their budget, including their savings quotient. Before they leave the nest, make sure your kids understand the three main types of savings: personal, emergency, and retirement. Give them an overview of each type of savings – what it’s for, when to contribute, and (most importantly) when to draw upon. If you need guidance, check out our article on the three types of savings. Last, but not least: When your kids are old enough, encourage them to open a student credit card account. As I intimated above, responsible credit card use is actually an effective savings strategy. When you pay your balance off in full each month, you avoid costly interest charges that eat away at your budget and stunt the growth of your personal savings. But that’s not the only reason you should consider nudging your young ones to apply for a credit card once they’ve reached the right age. Many entry-level student credit cards earn cash back rewards on spending – usually 1% to 1.25% on every dollar spent, and sometimes more on spending in select purchase categories. Some credit cards promise extra rewards for diligent students. One popular option, Discover it for Students Card, pays out a $20 bonus every year you keep your GPA above 3.0. Encourage your kids to save their earned credit card rewards. This simple exercise can add up fast: If your college-age child charges $5,000 per year to a Discover it for Students Card account that earns an average of 1.5% cash back and maintains a 3.5 GPA, they’ll put away an extra $95 per year. For the typical ramen-chomping student, that’s a pretty good haul. Pro Tip: Not sure which student credit card is right for your youngster? Check out (or ask your kid to check out) our regularly updated list of the best student credit cards on the market today. Kids are like snowflakes – they’re all different. So are parents. You might not agree with every piece of advice I’ve collected here. That’s perfectly fine. As a parent, you have wide latitude to teach your kids the value of money and instill sensible spending and saving habits. However you choose to teach your kids to save, never forget that it’s in your financial interest to ensure that they know how to manage and grow their own money for years to come. After all, you might rely on your kids’ thrifty habits to support you long after you hang up your hat for good. What are you doing to teach your kids about the value of saving? Do you have any advice for parents or parents-to-be?